Other photos: Full Port View, Galley, Front Deck, Bridge, Upper Helm, Side Decks, Lower Helm, Helm, Salon, Cummins, Horns, Spot Light, Night Vision, Crain/Davit, Windlass, Photo 14, Photo 15, Photo 16, Side Hall, Photo 18, Photo 19, Photo 20, Photo 21, Photo 22, Photo 23, Photo 24, Photo 25, Photo 26, Photo 27, Photo 28, Photo 29, Photo 30, Photo 31, Photo 32, Photo 33, Photo 34, Photo 35, Photo 36, Photo 37, Photo 38, Photo 39, Photo 40, Photo 41, Photo 42, Photo 43, Photo 44, Photo 45, Photo 46, Photo 47, Photo 48, Photo 49, Photo 50, Photo 51, Photo 52, Photo 53, Photo 54, Photo 55, Photo 56, Photo 57, Photo 58, Photo 59, Photo 60, Photo 61, Photo 62, Photo 63, Photo 64, Photo 65, Photo 66, Photo 67. This 73' X 18' STARDUST Custom Coastal Cruiser is spectacular! It is beautiful and has every imaginable amenity on board. With twin low hours Cummins 330B diesel engines, a 27.5kw Onan diesel generator, bow & stern hydraulic thrusters, radar, GPS, Night Vision at both stations, back up cameras at both stations, a large power windlass and twin warping winches list is endless. The top deck is fantastic and is very well equipped for entertaining. There is a hard top with bar, refrigerator, and sink and even a dumbwaiter to provide refreshments from the galley. Enclosure for upper helm station, interior wood laminate flooring, jet ski ramps, newer exterior carpet. Also includes a Hydraulic davit. Notice the tall solid aluminum commings and upgraded hull depth to make this vessel more of a Coastal Cruiser. Not your tipical Houseboat, This vessel is built to travel and can withstand some rougher waters. More information and better picture to come asap. SYS Yacht Sales is pleased to assist you in the purchase of this vessel. 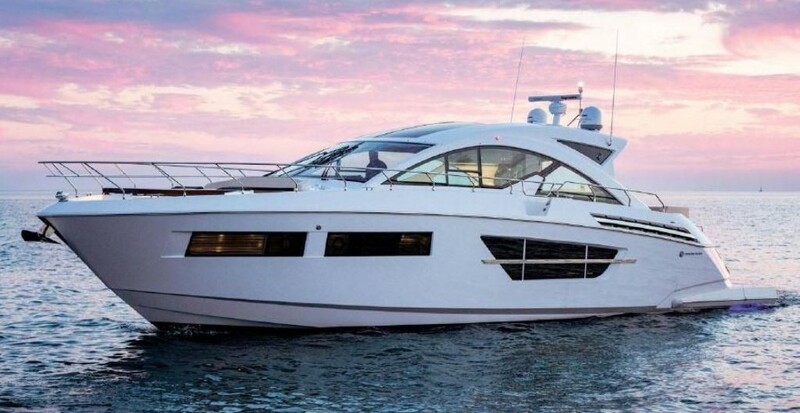 This boat is centrally listed by Bay Side Yacht Sales LLC.